Another massive score for Ivan Leow! This time he took down the Super High Roller at Triton Poker. 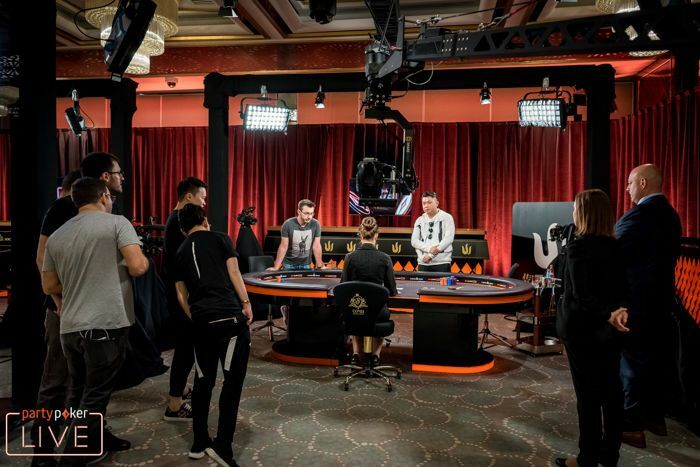 The second Triton Poker High Roller as part of the 2018 partypoker LIVE MILLIONS Russia festival at the Sochi Casino and Resort has crowned a champion. After 14 entries on Day 1, that number was more than doubled in the first three levels of Day 2 as a total field of 29 entries emerged in the RUB6,000,000 Triton Poker Super High Roller. The field consisted of 20 unique players and nine reentries, with the top four spots guaranteed a portion of the prize pool of more than $2.6 million. 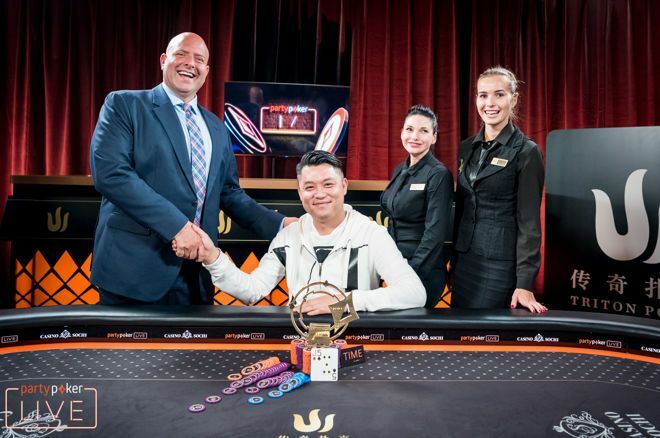 Ultimately, it was Malaysia's Ivan Leow who lifted the trophy and won his second Triton Poker title in two weeks after defeating Abraham Passet in heads-up. Leow had been on the final table of the RUB3,000,000 High Roller the previous evening but went from chipleader to bubble boy in a matter of an hour. He entered Day 2 of the Super High Roller in a similar fashion. His aggressive playing style saw him involved in almost every hand and he busted early. He then reentered and tore up the feature tables at the Sochi Casino and Resort. The 36-year-old already has five six-figure scores to his name in 2018, including a victory in the Triton Poker Super High Roller Series Jeju HKD$500,000 Short Deck Ante-Only event for more than $1 Million. Leow topped that score with his victory here in Russia. "Who is the best player from Malaysia right now?" Philipp Gruissem asked Triton founder Richard Yong and his son Wai Kin just yesterday, and both named Michael Soyza, Wai Leong Chan, and Leow almost immediately. Their countryman proved himself just 24 hours later. For runner-up Passet, it was also the far-biggest score on the live poker circuit. The German, who moved to Cambridge in the United Kingdom three years ago and started playing poker more seriously two and a half years ago, settled for more than $700,000. Aforementioned Wai Leong Chan, who finished runner-up to Mikita Badziakouski in the Triton Poker Main Event in Jeju, ended up in third. Manig Loeser also took home a portion of the prize pool. German High Roller regular Dietrich Fast was eliminated by Leow on the money bubble. Registration remained open for the first three levels, and the number of entries was more than doubled. Among those to buy back in beside eventual-champion Leow, were Timofey Kuznetsov, Koray Aldemir, Patrik Antonius, Richard Yong, and Wai Kin Yong, to name just a few. Aymon Hata, who won the RUB3,000,000 High Roller the previous night, also entered but was never able to run up a stack and busted before the two-table redraw. Phil Ivey was among the big stacks heading into the day, but Leow and Koray Aldemir doubled through him to send Ivey towards the bottom of the counts. Johannes Becker lost with kings to ace-king and pocket nines to pocket nines with Wai Leong Chan making a flush. Philipp Gruissem also fell short of another High Roller cash in Sochi which set up the last two tables. Abraham Passet caught some momentum with the eliminations of Konstantin Uspenskii and Patrik Antonius in quick succession and became the second biggest stack beside Dietrich Fast. Uspenskii four-bet shoved with pocket eights into pocket queens, and Antonius turned a straight only for Passet to hit a full house with the very same card. 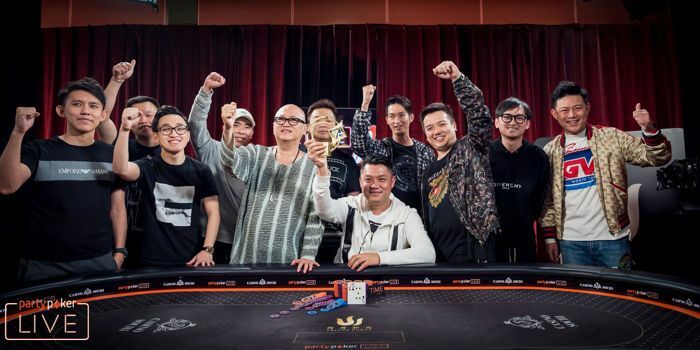 Richard Yong and fellow countryman Chin Wei Lim missed out on the final table, and Leow jumped into the lead after sending Phil Ivey and Timothy Adams to the rail in the same hand, reducing the field to the last eight hopefuls. Leow raised on the button with aces, Ivey got his stack in with ace-five in the small blind and Adams rejammed ace-queen from the big blind at the worst possible time. The all in showdowns kept on coming, and Wai Kin Yong became the first casualty on the final table. Paul Phua first doubled against Manig Loeser only to bust moments later when his top pair couldn't hold up against the nut flush draw of Loeser. Soon after, the bubble was reached when Niall Farrell's aces were cracked by the pocket nines of Passet, and the Scotsman bowed out one hand later. While Fast was among the chip leaders until then, this all but changed after several clashes with Leow. Both met again to determine the bubble boy. Fast raised with pocket nines and Leow called with king-queen suited. With his flush draw on the flop, Leow just called and then bet the turn when pairing his queen. Fast didn't believe his opponent and jammed to find himself with two outs in the showdown. No miracle happened, and the German bubbled. Manig Loeser also fell victim to Ivan Leow when he check-raised middle pair and a flush draw against the top pair of Leow in a four-way family pot. Loeser moved all in after the turn and Leow called with the additional nut flush draw. A blank on the river resulted in Loeser finishing fourth. The commanding lead of Leow vanished right after in a full house under full house hand with Passet. Not much later, he flopped top two pair with queen-jack and Leow continued with ace-ten for a straight draw. Leow paired his ace on the turn, and the chips went in, a ten on the river gave Leow the better two pair. Passet gave it a valid effort in heads-up and even claimed the lead for some time, but after more than an hour, Leow had established a commanding lead with sheer aggression. Passet put his hopes on a six-high flush draw on a paired flop, and Leow called with jacks and fours. The celebration could start for him after blanks on turn and river. While that marks the end of the high stakes action of the Triton Poker events in Sochi, the partypoker LIVE MILLIONS Russia festival continues right away with Day 2 of the Main Event on Friday, August 10th, 2018. The PokerNews live reporting team will be on the floor to provide all the action until a champion is crowned.